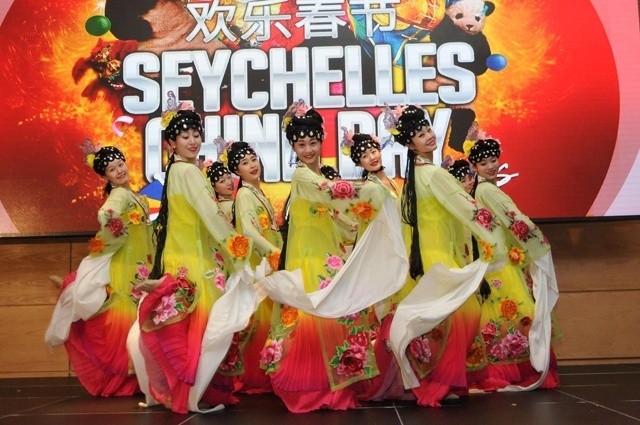 (Seychelles News Agency) - A brocade fashion show of Chinese costumes and makeup, with the participation of both Seychellois and Chinese models, is on the programme for the sixth edition of the Seychelles-China day. “The Nanjing Yun Brocade Fashion Show will kick off the celebrations. The event will see Chinese costume being paraded, models will also wear Chinese make-up. That evening will see the participation of local model agency – Telly Modelling Agency – alongside their counterparts from China,” Gustave Decomarmond, the deputy Chief Executive of the Agency, told the press on Tuesday. Chinese brocade is rich in colour and texture with patterns usually from Chinese folklore. “Yun in Chinese means cloud. Nanjing Yun Brocade was so named because it is as beautiful and as gorgeous as colourful clouds,” said the newly accredited Chinese ambassador to the island nation, Guo Wei. Other activities on the programme include a cultural show by the Inner Mangolia Art Group. The group hails from Inner Mongolia which is in the north of China – a place known for its colourful cultural heritage. “Right after the show we will open the spring festival and Chinese bazaar,” explained Robert Chong Seng, the chairperson of the Chinese Association in Seychelles – a group of 115 islands in the western Indian Ocean.